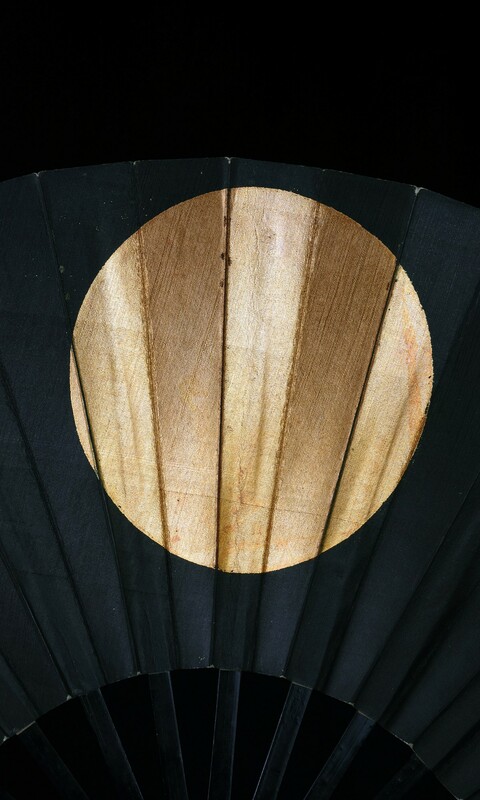 A Japanese iron and paper fan. 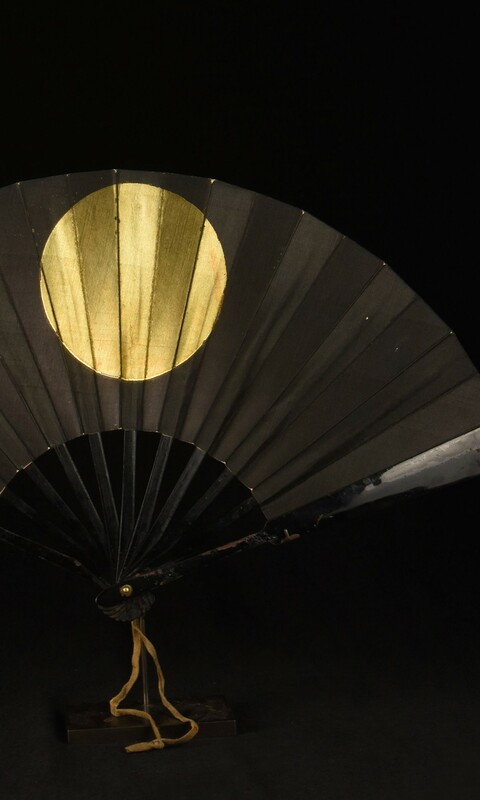 The fan was used by a commander to signal his troops as well as a symbol of authority. The open fan with a gold leaf circle on black paper ground. On contemporary metal stand. 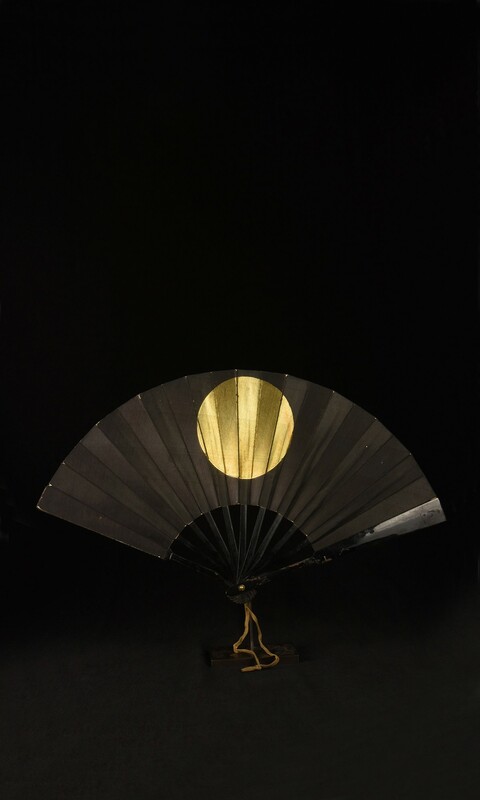 © 2016 Galen Lowe Art & Antiques. All Rights Reserved.